OSWEGO, NY (June 27, 2018) – In just two more days, a field of some of the best drivers in Oswego Speedway’s Pathfinder Bank SBS division will converge in ‘Friday Night Lights’ with the Lighthouse Lanes SBS Series at Williamson, NY’s Spencer Speedway this Friday, June 29. Eight out of the fourteen drivers that will be in attendance have all won at least one or more main events at the Oswego Speedway throughout the course of their careers. A full breakdown of the roster is available below. Lighthouse Lanes SBS Series ‘Friday Night Lights’ 30 plus Sunoco Modifieds, NY Super Stock Tour, Super Six, and Grandpa Dog 4-Cylinders at the Spencer Speedway. Friday, June 29 at Spencer Speedway in Williamson, N.Y. Pit gates will open at 4:00pm, grandstands open at 5:30pm, hot laps at 6:00pm, and racing at 7:15pm. Spencer Speedway is located at 3001 Ridge Road in Williamson, N.Y.
General Admission $13, Pit Passes $30. We encourage everyone to stop at the Lighthouse Lanes SBS Series tent for pit passes. All money is given back to the class to support the purse. Thank you! 01 – Dalton Doyle: Talented fabricator for Hawk Jr. Chassis driving his self built racer. A six time feature winner at Oswego Speedway. 12 – Dennis Richmond: DIRT Sportsman crew chief, veteran Small Block Supermodified fabricator and driver. 15 – James Babcock: Veteran at Oswego Speedway entering his fourth season of competition with the Pathfinder Bank SBS. 22 – Mike Bruce: Series president and division veteran. Five time winner at Oswego Speedway. 26 – Joshua Sokolic: Impressive Small Block Super rookie who has already scored his first top twelve finish at the Oswego Speedway. 27 – Mark Castiglia: Owner of Missile Motorsports. A six time Oswego winner filling in for regular pilot David LaTulip. 50 – Dave Cliff: Three time Oswego Speedway champion and winner of the last two track titles. 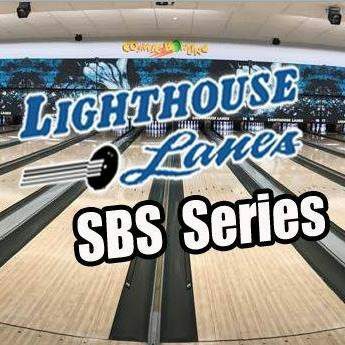 Winner of the Lighthouse Lanes SBS Series ‘Fall Brawl 50. Also won the season Opener on May 26. 77 – Cameron Rowe: 2012 Bud Light SBS Classic 75 Champion at Oswego Speedway. Four time Oswego winner. 86 – Brad Haynes: Finished third in the Lighthouse Lanes SBS Series ‘May Meltdown’ at Evans Mills Speedway. Division veteran. President of the Oswego County Quarter Midget Club. 88 – Bryan Haynes: Winner of the 2015 Bud Light Small Block Super Classic 75. Friday night will mark his first race driving for car owner Ron Pratt. 89 – Greg O’Connor: 2017 Most Improved Driver at Oswego Speedway. Oswego Speedway feature winner. Driving the #89 piloted last season by Tony Pisa. 91 – Barry Kingsley: Small Block Supermodified winner at the Oswego Speedway and the Evans Mills Speedway. Twelve year veteran of the division. 94 – Tim Glidden Jr: Second generation driver and Small Block Supermodified rookie making his first ever start on tour.